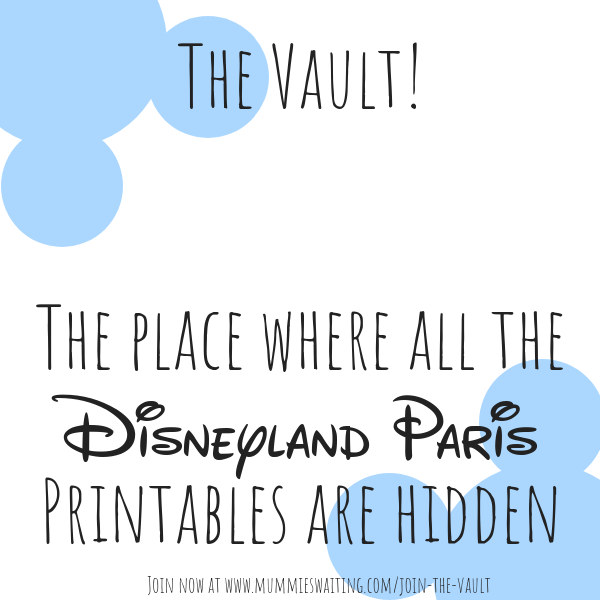 As with the majority of my Disneyland Paris posts, I write them because as a parent I spent a long time researching before leaving with no luck finding the xenical 120 mg https://xenicaltop.com/ ordering xenical online information I was looking for. Leaving for my trip I was nervous and unsure I had made the right decision in many ways. 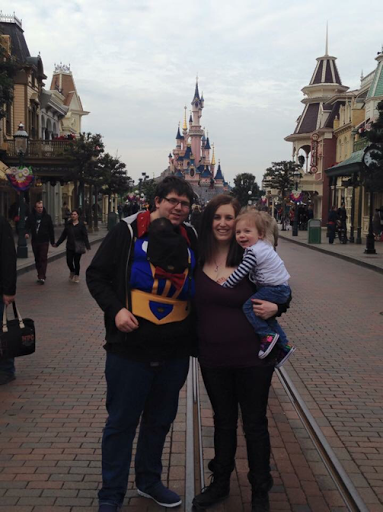 Recently on the Disneyland Paris Facebook groups, there has been a lot of talk about babywearing and many questions around it so I thought I would make a post to help answer the most frequent questions. 1. 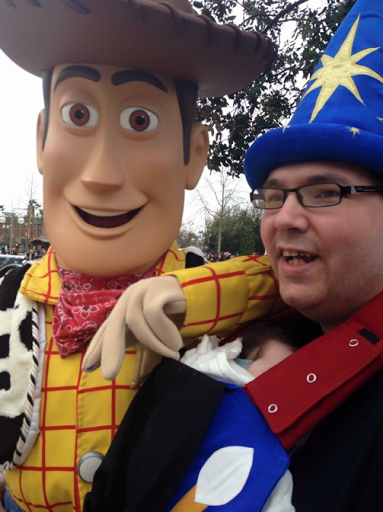 What are the pros and cons of babywearing in the parks? After taking our carriers on our last 3 trips and trying both with and without the buggy, I feel this list is an important one to think about before you leave. – Getting through the park is a breeze! You can walk through busy areas so much easier, no trying to avoid people’s ankles or waiting behind a slow crowd, you can everything at your own pace however fast or slow that it. – You don’t have to worry about them getting out of the buggy and walking off or even being fallen on. The crowds can be extremely full and busy at Disney, I often had moments of panic where I was concerned that my daughter would be sat on by someone falling in the busy crowds. Also, if you child is anything like mine and can escape, you don’t have to worry about them leaving the buggy and getting lost while you are looking at the park map or trying to find the best items in the shop. – you’ll get a better spot at Dreams! and during the parade. If you don’t have a buggy to worry about, you’ll be able to get into those smaller gaps easier, if the view isn’t great down on the ground, you can safely put your child in your carrier and they will be able to see so much more. – you will end up taking less stuff. I hate carrying stuff and while I the parks there is no need for it. I carrying our passes in a lanyard with a zip pocket, I take the bare minimum amount of nappies and wipes and my phone, camera and pennies. Because of this, I take the smallest bag I possibly can and use the ‘shopping service’ to send all my park merchandise back to the hotel! – if you have a small baby you will have a carrier for them to sit in on the rides (which is often asked by cast members). – you don’t have to fight for limited buggy parking, be last in the queue due to parking or worry about your buggy being taken. – You can feed on the go! (Breast and bottle) making less stops and more time for fun. – You have to keep putting them up and down. If your child is young they won’t want to walk to the next ride, depending on whether you have a wrap, sling or carrier it could be a pain getting them on and off. – you have to carry your own bag. This can be a pain if you like to carry a lot of stuff or if you don’t use the shopping service. In a word, yes! 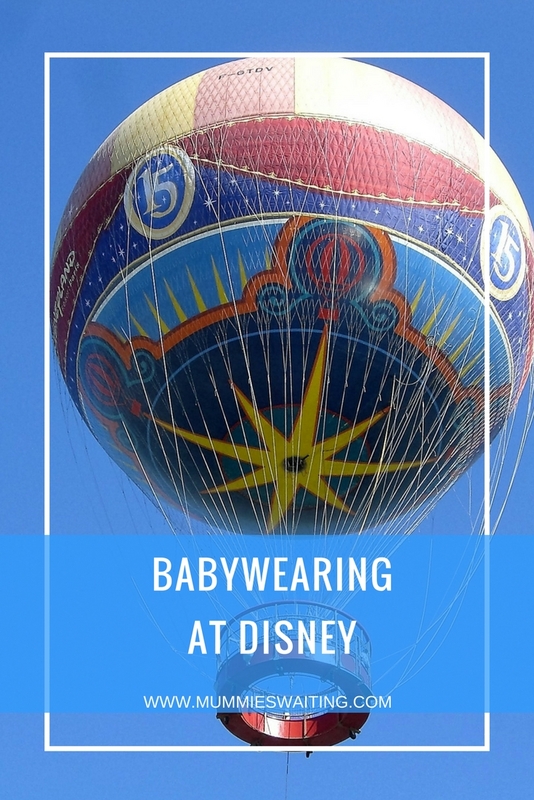 Of course you can baby wear full time in Disney and as you saw above, it can be very beneficial. However, this varies for everyone. To find out what your answer for this would be, first ask yourself a few questions. Do you baby wear all day shout at home? (roughly for 12 hours, with lots of ups and downs) or would you rather take the buggy and rely on that with the occasional baby wearing? What are the park hours like while you are there’s? In the colder and off-peak months park hours are roughly 8-8, however in busier and warmer months, the park can stay open until 10, even 11pm. An extra 2 hours is a lot of time if your body is feeling tired. The final think to think about, is how long are you going for? If you are going for 2 nights then you could probably managed with just the carrier (unless you have a lot to hold), however if you are going for 5 days, you might want to have a think about what you would do if you decide you want a break from carrying. 3. Do I have to take my baby off and wake her up while going through security every time? I’m happy to inform that you don’t. I’ve been through Disney security and the Eurostar security many times and never had to take the girls out of their carriers! Airports however do vary so if you are concerned just check before traveling. Disney park security are great, they are happy for you to walk through without waking your sleeping baby or talking your toddler off your back. 4. Can my baby go on rides with me while in the carrier? I’ve answered this before in my post on ‘what can my baby or child ride?’, so it’s definitely worth going to check that out. 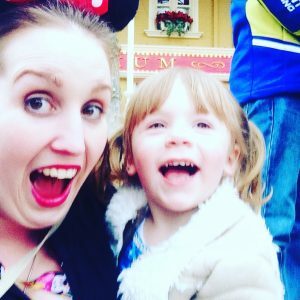 For a short answer, yes for most slow rides your child can stay in her carrier (on your front not back) and on many rides with a baby (like pirates or ratatouille) we were actually asked if we had a carrier we could our daughter in before we were allowed on. Don’t forget to decide where you will put your baby while you eat. We didn’t think this through at all the first time and then had many meals with Naminé lying on our laps or the booth seat we were sitting on. When your baby sleeps you won’t be able to ride much until they wake without zig-zagging across the park to another baby friendly ride taking up more time. Don’t forget to use the baby rooms! They’re great to sit and breastfeed, to warm bottles, they have a large changing area and the only toilets in the park that don’t have an automatic flush. Is your child toilet or potty trained? Be prepared for the automatic toilets! Kairi and her cousin had both been toilet trained for a long time with no accidents on our last trip, the automatic toilet flushed on them once on our last trip and after that toileting was hell (we’ve been back for 4 months and still have to re-assure Kairi, new places are seriously hard work now too). I longed to be able to get hold of a potty or even be able to put her in nappies for the duration of the trip. Next time I will be prepared with the porta-potty just in case. Top toilet tip – take some large stickers (or grab an I’m celebrating’ sticker from guest services) they fit perfectly over the sensor, just pop it on before your child goes and it won’t flush until you take it off! I hope you have an amazing trip! 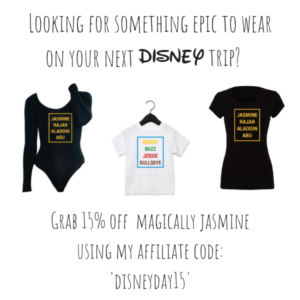 If you would like to know what your child can ride in/out of the carrier the head on over to What can my child ride at Disney? 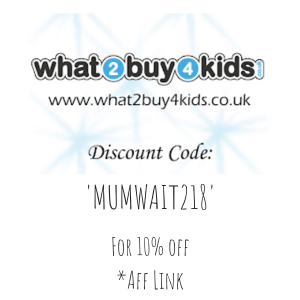 and for Disneyland Paris vlogs and hauls head on over to out Mummies Waiting YouTube page. Don’t forget to leave any questions below and follow us on social media to watch videos and see lots of photos of our trips. Thank you for sharing this post – you are absolutely right, this is the kind of information I’ve been hunting for all day and found myself coming up short until I stumbled onto your blog. I’m interested in using a backpack-style carrier (probably a LittleLife) for our trip with our 2 year old, do you think that the same benefits apply with one of these as one that goes on the front of your body? Thanks in advance! 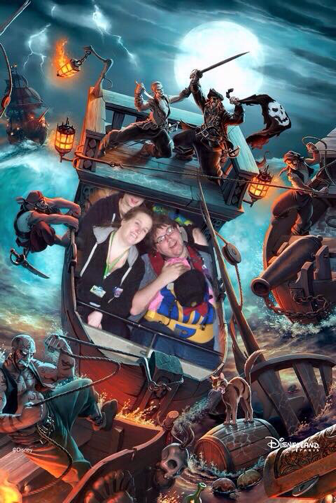 We back carry both our girls now and it was extremely helpful while in Disney! Just being a family who didn’t need to worry about pushing or parking a buggy etc made such a difference.